All is calm, all is bright here. There’s the obvious “everything’s a little chaotic as I get ready to sell the house” going on, but other than that…I’m enjoying my first Christmas off in more years than I can remember. It’s been a long time. Rather than pontificating about the end of the year, what 2017 has or hasn’t been, I realized that what I really wanted to was to share wishes for you for Christmas, or 2018, or Monday, or whatever it is that you choose today. And, as I sometimes provide with posts like this, a musical interlude that seemed just right for the occasion. Step outside your comfort zone. Do scary stuff. I had good intention of getting this post up early in the week. And, like many good intentions, it’s now Friday…but I’m still within a week of doing something a little scary (for me) so it’s still sort-of news. 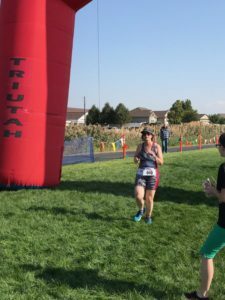 In July and August I took part in a fitness challenge that encouraged us to try activities that were new or different from our “usual.” I’ll confess that new things I have now tried include mixed martial arts workouts (hard and fun!) and ballroom dance workouts (harder than you expect! and good grief I’m not a dancer!). Most importantly, this challenge got me into the pool a few times and reminded me that I’m actually a reasonably competent swimmer. And, interestingly, when I’m not swimming because it’s all I can do with an injury, I kind of like it. Since I have a history with both cycling and running, some of you might see where this swimming revelation is leading. I haven’t totally pushed myself outside of my comfort zone since my first half marathon (December, 2014, for those who are keeping score), and I’ve been trying to figure out what I could take on that would challenge me. Semi-logical answer? 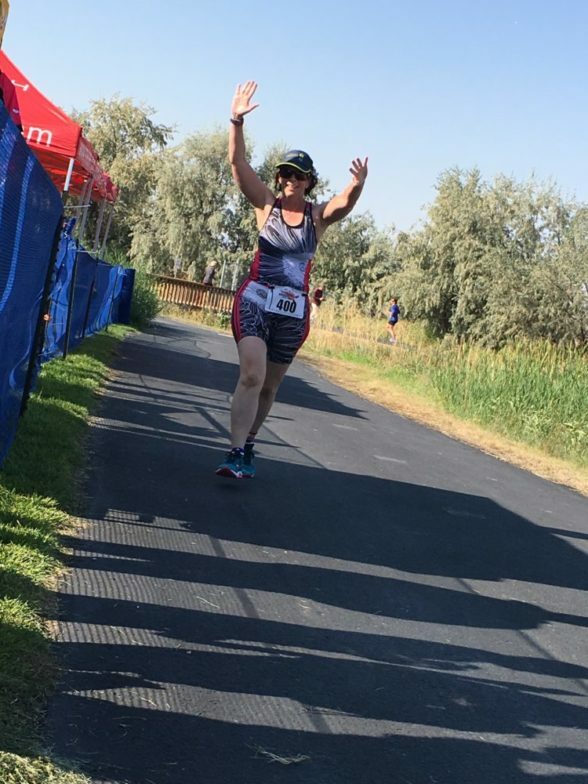 Triathlon! So, with only about four weeks to get swim training under my belt I signed up for the Brineman, sprint distance. I put a few bricks- riding followed by some running- into my workout schedule. 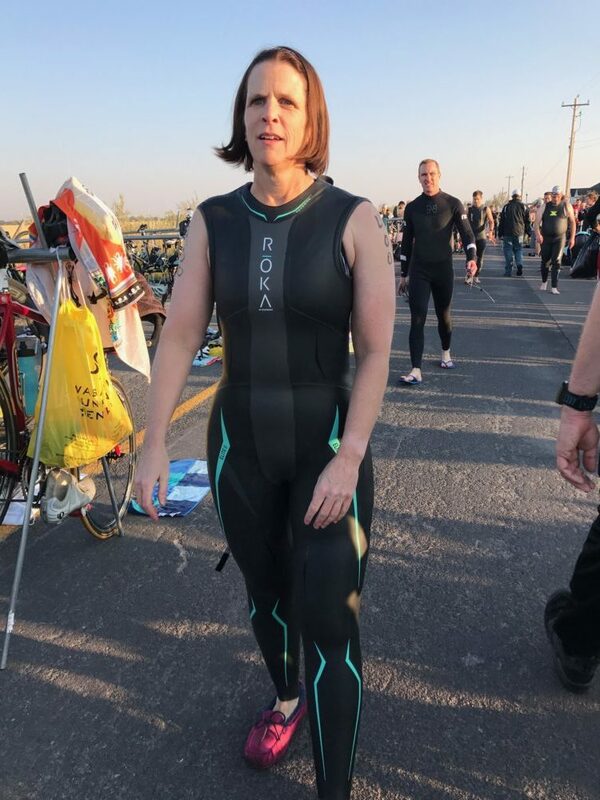 I stayed up late deciding if I needed a wetsuit for the race or not (decision was yes, and with the 45 degree temps that morning I was grateful!). 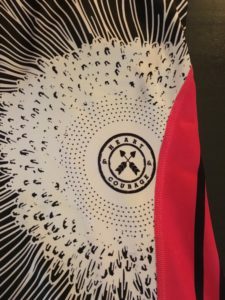 I ordered the cutest (and most functional) tri kit ever to wear and tested it out during my brick workouts. 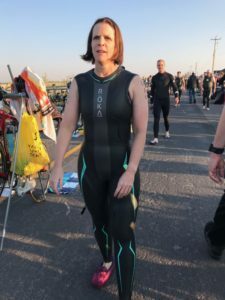 I practiced open water swimming in the Willamette River when I visited Portland over Labor Day weekend because that was the truly intimidating part of this whole crazy idea for me. 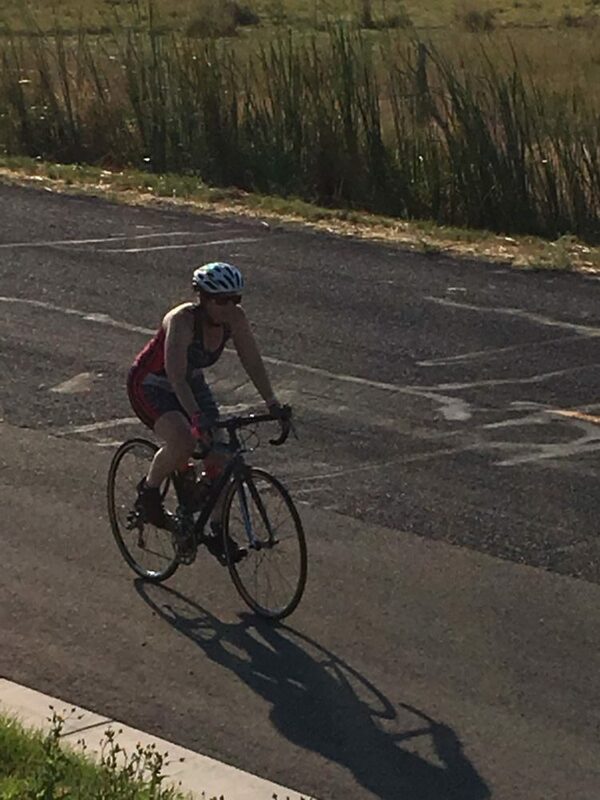 And last Saturday, I got up really early so I could swim, bike, and run. 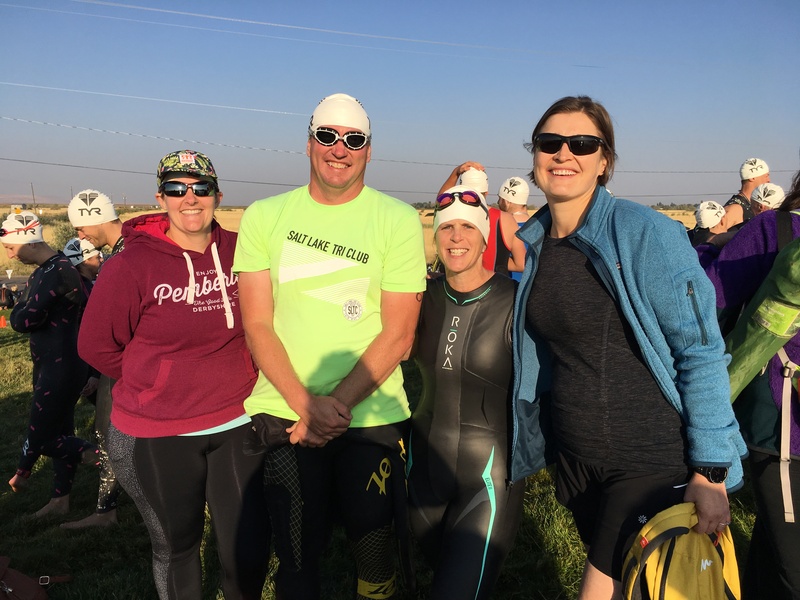 I was incredibly fortunate to have three friends who signed up to do the Sprint as a relay so I had an awesome cheering section. And… another of our friends who has been on “injured reserve” from running magically appeared at the swim start and helped to sherpa gear, take great pictures, and cheer for all of us. I know some of y’all have heard me say, “Find you tribe, love them hard” before, and Saturday morning they were there full-force. Here’s the before. And yes, I’m thinking, “I don’t have to do this…it’s not too late to chicken out!” when I’m standing there contemplating it all. The tribe. I may be a little jealous of the two who have dry land legs for their relay. 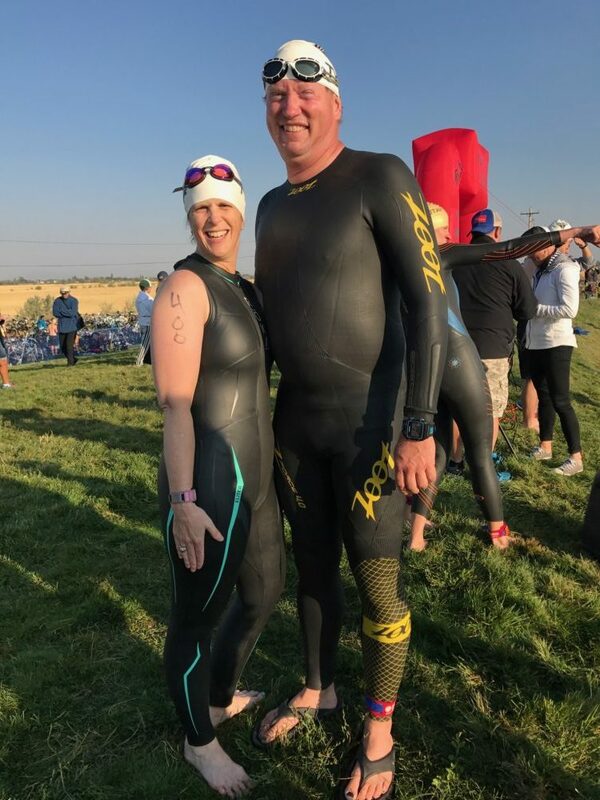 Also jealous that J has done a full Ironman so this swim is just a little thing for him. 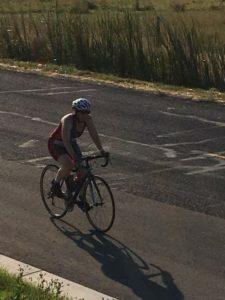 “I didn’t drown!”; in truth my performance in the water was Very Respectable), it was on to the bike. Confession: this is my favorite leg. Shh…don’t tell the people who think of me as a runner. Also, I love the dryland segments because of all of the cheering one another that goes on between athletes. If you’ve run or ridden with me, you KNOW how I am about encouraging people! Game face coming out of the Transition. Then, the run. The part that I know I can do and can do without trouble (3 miles is NO problem!). 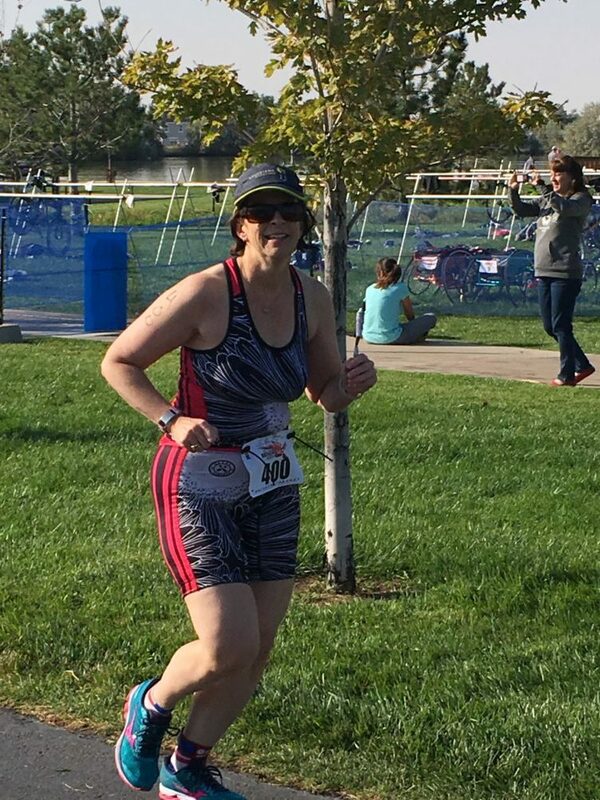 And I can’t tell you how much I loved the folks who commented, “Looking strong!” That’s such a powerful reminder that yes, I’m strong, and I’m rocking this. Coming out of Transition 2. Legs feeling a little weird. But I’m running and that’s my joyous place. If you’re wondering, yep, I’ll do this again, and with more than a month to train for swimming I’ll even look at a longer distance. I mostly loved it. I learned a lot about myself and my ability to be brave. 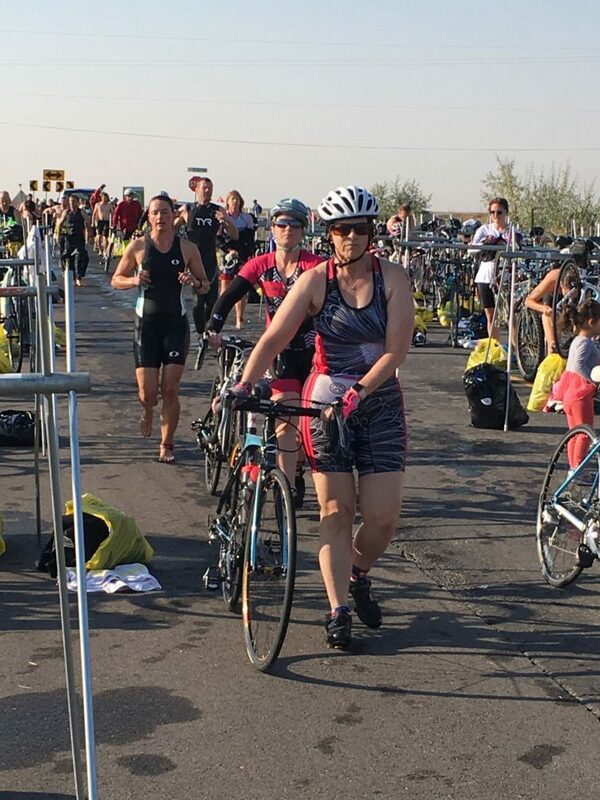 And I was totally outside my comfort zone (swimming, people, swimming) and did a Really Good Job with my first triathlon. What’s my hope in sharing this story with you? Don’t be stagnant! What’s something that you can do that will challenge you, maybe even make you uncomfortable? Set a goal. Go for it. That’s how we change ourselves. Coeur Sports logo, which is pretty much my life mantra. 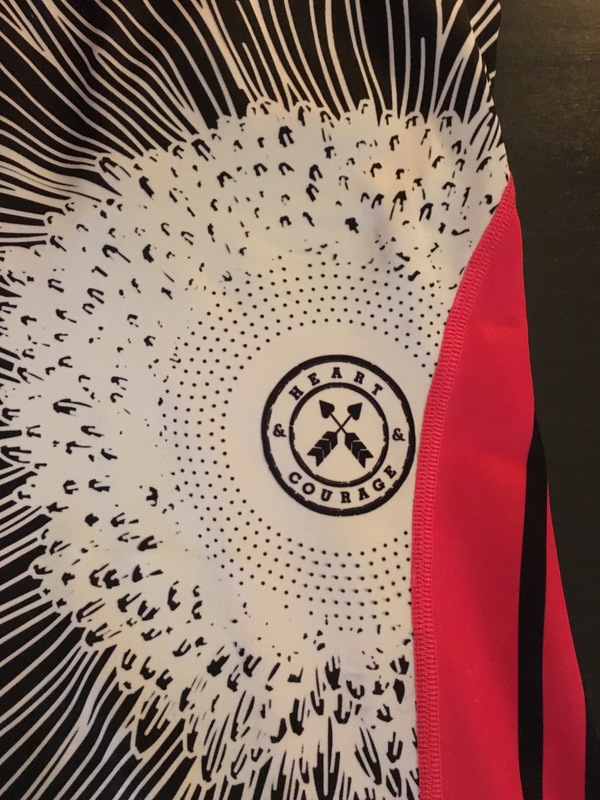 Heart and courage, as the logo on my tri kit says. Heart and courage. The concept of “self-care” is definitely a cornerstone of wellness discussions. It also appears to have become something of a generational battleground. Staying at work for a week and eating poorly and not seeing the light of day is no longer considered the badge of honor it might have been. Nevertheless, we all have these pesky adult and professional commitments that preclude us from focusing on ourselves all day, every day. Surely there’s a happy medium in there somewhere? A lesson I learned about 10 years ago is that I need to have a list of the things away from work that bring me joy, and that it also helps me to recognize how often I need for them to be part of my life. Examples? Walks with Olivia– daily, at a minimum. This is important head clearing time for me. Running– the benefits for me are myriad. It keeps my head on straight, it gives me time to think, and I just feel better for completing a good run. Live music– A couple of times a month. The rules match my OR music rules: No rap, no metal, no Britney Spears. I love Americana and “alt-country” (again, as many of you know) and also have a great fondness for outings to the symphony and the opera. Reading, particularly literary fiction- I still remember getting halfway through my intern year and realizing that I hadn’t read a novel all year (and that I really missed it). The moment our in-training exam was done in January, I dug back into good novels and haven’t stopped since. I put my own list out there not with the goal of making it your list, although I’m always happy to share ideas in any of these areas. I put it out there so that you can see that none of these are majorly time-consuming unless I choose to make them a Big Deal in my schedule. In fact, it’s pretty easy with some practice to prioritize all of them in a way that I get to push the reset button for an hour or two AND still manage my grown-up responsibilities. And even though I fight it sometimes, I know that these things really do contribute to helping me be my most effective self. So, what about making sure we’re our most effective on a day-to-day basis, even in the midst of a chaotic day? I loved this piece in last month’s HBR, probably because all of the ideas they raise are things that I’ve espoused or embraced in one place or another. 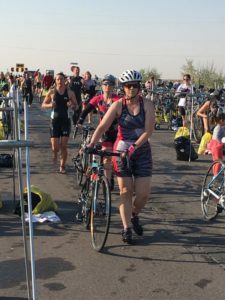 Cut yourself a break: I’ve previously summarized this blog post from Karen Walrond as “Try your best, cut yourself some slack at the end of the day, rinse, repeat.” Why is it so much easier to be kind to those around us than we are to ourselves? Value time, money, and resources: No is a complete sentence if something doesn’t align with what you want or need to get done. Truly. Practice it often. Take a victory lap: How often do we celebrate our “wins”, either individually or collectively? This week I started something new to me on Twitter with #Wednesdaywins. If you’re on Twitter, I hope you’ll join in there. If you’re not, I hope you’ll develop your own practice. Surround yourself with good people: Maybe it’s a product of being in my 40s, but I simply no longer choose to have time for people who drain my energy (see “value time, money, resources” above). I definitely view friendships as a mutually supportive enterprise, and have chosen to surround myself with spectacular people whom I LOVE having as part of my life. Some of you have heard me say, “Find your tribe. Love them hard.” It’s key when things get challenging. Update your workspace: Okay, I really don’t have much to add here. I am better than I used to be controlling my desk piles. Mostly. Recharge and reboot: Those walks with Olivia? That’s part of it when I get out of the hospital. At work, sometimes I’ll just go for a walk between the Burn Unit and my “real” office. I’ll pause and fix myself a cup of tea. I’ll walk through our therapy gym so I have an excuse to stop and visit with one of our rehabbing patients. Or I’ll sit down and simply chat with someone I find interesting; this person can be a co-worker, a patient, or a family member. Sometimes just getting your head out of what it’s stuck in can make a HUGE difference. If you want to be Zen about it, it helps you detach from whatever is troubling you. So, what can you do this weekend to be more effective for next week? It doesn’t have to be onerous, and ideally it will be fun. Most importantly, I hope it brings you some joy. We have essentially two key limitations in the battle to do everything, as I see it. First, our day has 24 hours in it. We can fight that one all we want and pretend it’s not true, but that’s the day we’ve got. Then there’s the second limitation of energy. We’re not set up like the Energizer Bunny to simply go…go…go…quick battery change…go…go…go. I’m sure almost all of us can think of the last time we tried that (all nighters in college, anyone?) and the net effect is never what we hope it will be. As mentioned in the July Reading Round-Up, I’m working my way through Eric Barker’s Barking up the wrong tree right now. Chapter 3 has a great section talking about someone brilliant who has a chronic illness that can be incapacitating. This individual adopted a strategy for many years of accomplishing one thing a day, even on the bad days. Sometimes that meant that he was only able to cook dinner if that was the day’s goal; the key was to choose that one thing and do it. Here’s what he had to learn that we all try to superhero our way out of at some point in our career: every single choice that we make to do something means we are choosing to not do something else. When we spend hours on Facebook, we’re choosing (perhaps only subconsciously) to not work on that research project that needs our attention. When we spend time working on that research project, it comes at the time expense of watching Game of Thrones. When we spend time with our family, it comes at the expense of finishing the day’s charts. If you have a background in economics, you’ll recognize this immediately as every choice we make in life having an opportunity cost. If you have a young family or an aging parent, focusing on them may be your first choice for a few years and it may require you to choose to let something slide from a scholarly or administrative perspective. If you’re building a career as a researcher, you already know that forces choices about what you can and should do from a clinical perspective. If you’re trying to stay mentally and physically healthy, you might choose to save that manuscript where it is right now and leave for yoga or go out for a run (note: I often find that by doing this I end up being more productive, perhaps because it gets my brain into a different space). Again, every time we choose to do something, we are choosing to not do something else. That alone means that we can’t do everything. Here’s a thought experiment for you, cribbed directly from Chapter 3. What would you do if you were ill and could complete only one task per day? There’s your answer to what matters most to you, and what should be done first. And when you thought, “It would NOT be clean my house!”, that’s probably a hint to you too. Here’s to a week of making wise choices, one at a time, that allow us to do those things that matter most. What is your big goal this week? Wednesday was a bittersweet day for me. I’ve previously mentioned Danny Custer, whose last day operating at Baylor Scott & White was Wednesday of this week. Danny had a remarkable career as a pediatric surgeon. He was also our clerkship director when I was a medical student, and proved to be a huge influence on me. Even though I had no intention of becoming a surgeon when I started medical school, between he and Sam Snyder (and some really spectacular residents, including the husband of a college roommate) I was a “clerkship convert” to this crazy life. Anyone who has been in my OR when I’m directing how long I want suture to be cut has heard the words “bunny ears” more than once. I inherited that phrase from Danny. Danny was amazing with families, adored the children, taught with the patience of a saint, and made every day of “work” an incredible amount of fun. His passion for his calling was contagious and I always, always mention him as part of my own story in medicine and in surgery. Wednesday morning I got a text from one of my former student mentees who is now a resident at Texas A&M/ Scott & White. Kyle went to Temple knowing that Danny was one of my mentors, and I appreciate that he texted me the first day he operated with Danny as an intern. Wednesday’s text was to let me know that it was Danny’s last day and that he would be operating with him for his last case. My first reflection was one of gratitude that I have mentees out there who stay in touch. Those moments are why those of us who teach pour our hearts and souls into what we do. My second reflection was also one of gratitude that Kyle was operating with Danny on Danny’s last day as a surgeon. There was something incredibly special in knowing that someone I have influenced for good was helping to close out the career of someone who had such a positive influence on me. Bittersweet. And an absolutely perfect circle. The blog has been a bit of a ghost town for the last few months. You’re aware, I’m aware. Twitter hasn’t been an echo chamber, but I’ve not been as present there either. Professional life has been messy and hard, and I’ve struggled with how to process that. Heart and Brain provide a near-perfect summary of what it’s been like (though I’m not sure the brown stuff would have been quicksand had I drawn them). Personal life has been fine, great even. I have professional friends whom I’ve entrusted with what has been going on and who have been amazing advocates and supporters. I have other professional friends who haven’t been in the loop on things but who have consistently reached out with a kind word when I’ve needed it most (serendipity, FTW!). I have running friends who have stuck with me when I’ve stopped for an ugly cry in the middle of a 10K. I have friends who have been around seemingly forever who are simply there and constant and kind. While you might not think that in your late 40s your sorority sisters would provide a life raft for you, they have done precisely that. As I told one of them a few weeks ago, “ADPi has saved my sanity the last 18 months.” Mom is great and healthy. Dad is navigating the indignities of Parkinson’s with grace. Other than Belle!’s anxiety (maybe she’s channeling for me? ), the animal support team is awesome. If you look at the ledger strictly from this side, I’m incredibly fortunate, and I won’t deny that. I am grateful for all of these things every day. Then there’s the professional side. Lots of things on the “good” side of the ledger there too. I work with the best team that anyone could ask for. I take care of the most remarkable and resilient people that I could ask to be entrusted to care for. It’s a rare day for me to walk through clinic or the burn unit without getting a hug from a patient, family member, or both. Outside of my clinical work, I’ve been entrusted with leadership roles that I consider both a privilege and an honor. Again, these are the things that keep me going and for which I am grateful. And yet…there’s this body of literature (which I am in the process of contributing to) that describes why women leave academic surgery and academic medicine. That literature has become intensely personal over the last 6-9 months for me. I’ve found incredible irony that the system that I’m trying to help fix, to make more equitable, has nearly chewed me up and spit me out. While I always found it tragic that many talented women were exiting academic surgery, even 10 years or more into what should have been remarkable careers, I now “get” how this happens. I would be a liar if I didn’t say I’ve thought about walking off. I don’t do disappointment and disillusionment well. I’m still working on the answer to this question. What I do know is that I’ve moved past taking it all personally and simply being hurt. If anything, I’m realizing how important some of the intellectual work that I started out to do a few years ago truly is and that it’s time for me to double down on those efforts. I’m focusing more on my core mission(s) and doing the things that are the most meaningful to me. And I’m reminding myself at the close of every single day of those things I am grateful for; there are plenty of them, and they help maintain that sense of purpose that I need. If you’ll excuse me now, I’m off to tilt at some windmills. Thanks for joining me. Wasting of time sitting still? I’ve made a deliberate effort of late around the concept of mindfulness and of trying to be more present. In other words, I’m trying not to engage as egregiously in zoning out and checking email and catching up on Twitter when I’m supposed to be paying attention. Meetings are, of course, a special kind of danger zones for these things. So are completely overprogrammed days, when my entire schedule consists of running from Point A to Point Q to Point L, with no breathing space available and…when was I supposed to have lunch? Days like those are the days that stress me out. It’s not that I can’t handle the day itself. It’s that when I’m doing all of the to and fro, I lose the ability to manage my energy. And when I lose that ability to recharge, even if it’s only for 30 minutes a couple of times, I know I’m not at my most present. I also know that I get grumpy. When I “check out,” when I start that multitasking, there’s clear evidence that I’m probably making things worse rather than better (ladies, the link applies particularly to you). And while I wasn’t successful in keeping it controlled the entire day, late in the day I was cognizant enough to start using the, “Right now, it’s like this” framework to remind myself that days like these are truly exceptional. Today’s tactical error that I know has been helping of late? I did NOT sit for 10 minutes this morning prior to getting the day going (though, to my credit, I didn’t start with email either). I’ve learned that 10 minutes of sitting and just breathing after the alarm goes off helps me to feel like I’m setting the tone of my day rather than having it set for me. Even with that knowledge, after a late evening and with an early morning I skipped it. Not a great choice because I’m learning that it’s a total set-up for distraction for almost the entire day- or at least the parts when I can be distracted and not seem completely inappropriate. The day took control of me. So tomorrow, I’ll sit again for 10 minutes when the alarm goes off (with a purring cat in my lap if I’m really fortunate). That’s the part of it all that I can control, and it lets me set the tone to make the rest of the day go more smoothly afterwards. It’s not like the day was a wholesale disaster; if anything, it all ended up fine. It’s just that process, being present and engaged through all of it, could have been less bumpy. I’m grateful that I get the chance to reflect and do better. And if you’re looking for ideas to help you be more mindful at work, I am particularly fond of this list. Sitting still? Apparently not a waste of time at all. Ah, 2016. In some ways it’s felt like a doozy. For those of us of a certain age (Generation X friends, I’m looking at you), we lost too many icons. Any year that takes Haggard, Prince, and Bowie is a tough year for me to reflect on my musical “upbringing.” Politics have been divisive and difficult. And whether you loved or didn’t love Hilary Clinton as a Presidential candidate, you had the opportunity to witness a huge public display of misogyny. I had plenty of things in my life that didn’t work, and so many that did. I’m still trying to stuff 10 pounds of sugar into a 5 pound sack in terms of juggling my clinical, administrative, educational, and research obligations- though 90% of it is stuff I really do love. Some days there’s simply too much of some of the good stuff, you know? I was part of an amazing group of women who successfully executed a $10 million capital campaign for our sorority’s foundation. I got phase 1 of a qualitative research project I’m absolutely passionate about (effective mentoring in academic surgery) completed and am starting to dig into phase 2 (barriers to careers in academic surgery). I ran 9 half marathons, all of which involved friends and fun and most of which involved travel to terrific places; in the course of that I set a new PR in January then again in May. I completed my term as President of the Association of Women Surgeons and started my term as President-elect of the Association for Surgical Education. I spent 10 days on a river in the Alaskan Arctic rafting, hiking, and realizing that no cell service and mandatory naptime are very, very good for the soul. I got a teaching award from our graduating medical students, and had what I would argue is my proudest career moment receiving an Outstanding Alumna award from the Texas A&M College of Medicine. I fell in love over and over with Bozeman, MT, during my off-time, and I spent more time back in the homeland in a calendar year than I have in a long, long time. My breakfast taco titers are good for at least a while. I yet again had the privilege of caring for people of incredible resilience and beauty. And most importantly, I continued to revel in having my Mom (all around amazing human and my biggest cheerleader) a mile away. None of this crazy, messy, wonderful stuff would happen without her here to manage the “little stuff,” including the animal family when I’m on the road. Full disclosure: There were also some really challenging moments, most of which happened in September. Details aren’t important at this point, and I have to say that as sad/ angry/ hurt/ frustrated as I was about what happened, I learned a huge lesson: I have a group of folks who have my back no matter what, both in my personal life and my professional life. The power of that is not to be underestimated. So what does the best version of my 2017 look like? New challenges with a big, passionate “YES!” attached to them. More writing because I love it- some academic, some not, all creative and done in joy. Gratitude and appreciation. Every. Single. Day. Connection and friendship are EVERYTHING. Keep the coffee date. Block out the time and hop on the plane. Send the note. Remembering to #choosecourage and #lovelouder. I learn time and again that these are the two most meaningful things that each of us can do in our daily actions (even the ones that feel small) to generate a tremendous ripple effect. Onward and upward, friends. Onward and upward.